Romania is the Yellowstone National Park of Europe, but with medieval fortresses, ancient churches and fairy-tale villages and towns. 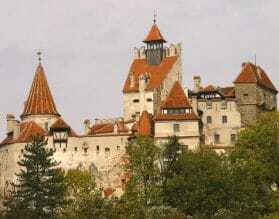 Travel to Romania is the ultimate unspoiled Old Europe experience. Go for a unique connection with the locals, stunning landscapes and exquisitely preserved medieval towns. 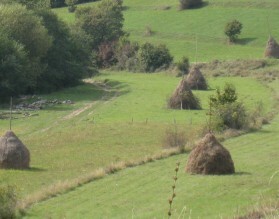 One of the last frontiers of ancient European culture, Romania is a microcosm of ancient influences. Nestled between the Carpathian Mountains and the Black Sea, with the Danube flowing through its heart, Romania captures the imagination of every person who visits. Startling juxtapositions of ancient and modern in Bucharest, fairy-tale castles warped in time in Transylvania, with its fortified churches, is a testimony to the Saxon colonization in the Middle Ages. Saxon merchants arrived here in the 12th Century to help fortify and defend the eastern borders of the region, which at that time were controlled by the Hungarian Kingdom. 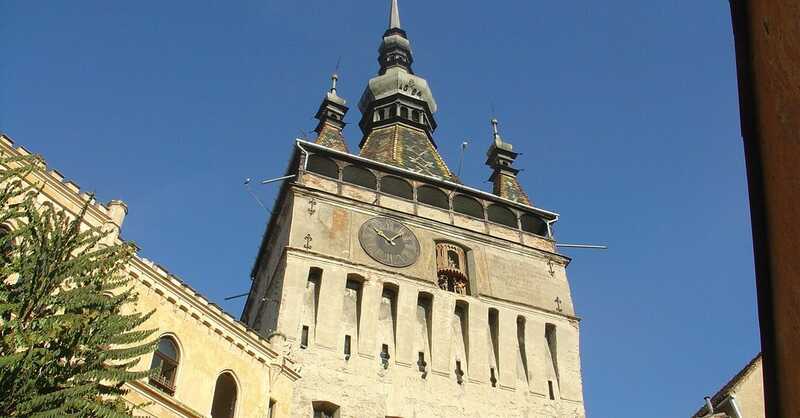 The Saxons founded several settlements, among which are the present-day cities of Sighisoara, Brasov, Sibiu, and Cluj-Napoka, which all boast perfectly preserved architecture. 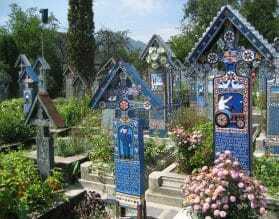 If you can imagine Old World Europe alive and well, you can imagine Maramures. When you travel through this region, you get to step back in time, as this is the last corner of Europe where plowing, planting, harvesting, and hay-making are still done by hand. Beyond the “living history” of Maramures, you will find beautiful rural scenery and wooden churches among original rural architecture. The mystical “witch-hat” monasteries of Bucovina is a rural paradise with painted churches that are among the greatest artistic monuments of Europe and also designated UNESCO World Heritage sites. Bucovina is also known for its religious art, folklore, and beautiful handicrafts, including embroidery, ceramics and carpet weaving. The bustling port of Constanta where the Danube meets the Black Sea – give Romania a magical serendipity unto its own. You never know what’s coming around the next corner. Step into the cellars of monasteries and into the kitchens of grandmothers to imbibe the culture of the country. Dance the night away to lyrical folk music and experience the local folk culture first hand. Tip back a cupful of heady wine made by the monks in Bucovina’s monasteries. 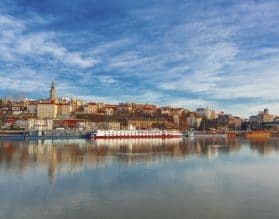 Exeter International’s experienced guides take you beyond the closed doors of this beautiful country to meet with the locals and uncover the ancient legacy of hospitality that is inherently Romanian. 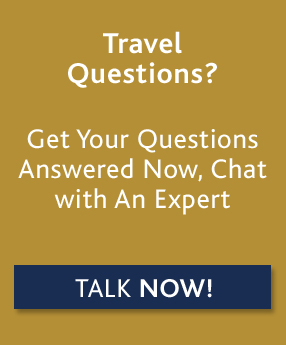 For custom luxury travel and tours to Romania, please contact one of our travel experts, or read on below for more information about where to go and when, along with our Insider's Guide. The best time to travel to Romania is April-June and September-October. High summer can be extremely hot and winters are cold and snowy. The authentic soul of Romania is in Maramures, the last corner of Europe where plowing, planting, harvesting, and hay-making are still done by hand. Beyond the “living history”, you will find beautiful bucolic scenery and wooden churches. 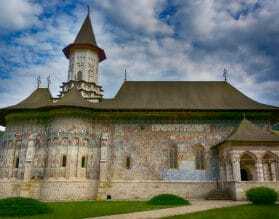 Bucovina is a rural paradise with painted churches that are among the greatest artistic monuments of Europe and just some of the many Romanian UNESCO World Heritage sites. But the jewel in the crown of the country is Transylvania with its fortified churches that bear testimony to the Saxon colonization in the Middle Ages. Saxon merchants arrived here in the 12th century to help fortify and defend the eastern borders of the region. The Saxons founded several settlements, among which are the present-day cities of Sighisoara, Brasov, Sibiu, and Cluj-Napoca, and many surrounding villages that all boast perfectly preserved architecture. 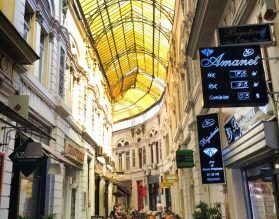 Bucharest, although much destroyed, still has a charming cobbled area Lipscani where you can soak up the atmosphere at one of the numerous cafés and restaurants. If you are cruising in the Black Sea we would recommend a private shore excursion of Constanta, and the ancient town of Histria. Our team of travel experts can customize a unique program for you for travel in Romania based on your exact preferences and interests. Although the roads are good in Romania, the driving is rather stressful and is not a destination we would recommend for a self-drive vacation. We have some excellent driver-guides who can take the strain of the drive for you. We recommend a minimum of a week in Romania. Romania is at the cusp of east and west. Vienna is a short flight away, and as the center of the Habsburg Empire, was once the capital of the whole region. You will see architecture in the main cities of Romania (Cluj, Bucharest and Sibiu) that could be in Vienna. Alternatively you may want to do something completely different and after you leave the rustic charm of Romania, you may be ready for something a bit more hip and contemporary. Istanbul, with daily flights from Bucharest, is an easy add-on to relax and unwind in deluxe comfort of top hotels. You can explore the city’s highlights, shop in the Grand Bazaar or simply relax at one of the myriad cafes or restaurants.